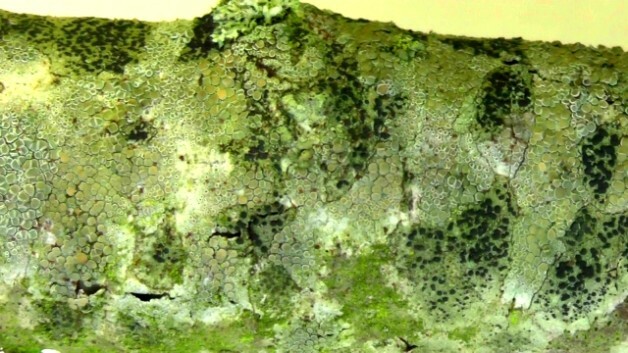 In celebration of this union, Dr M has embarked on a series of music videos collectively entitled “a voyage round my lichen twigs” and all inspired by the diversity of lichens encountered on journeys along different twigs. The first video “Awakened by rain” is here. The second journey takes us along the branch of a willow tree, almost completely obscured by the crustose lichens, Lecanora spp. and Lecidella eleochroma. These dominate and create a wondrously lichenological lunar landscape which twists and turns and occasionally slithers and slides and bumps along to the accompaniment of hypnotic organ music.